My friend, Wayne Cyr, and I spent 28 years hiking the Appalachian Trail, one section at a time. Every time we were in our adventure mode (heading to the trail, traveling back from it or out on the path itself) we would invariably meet people of all ages that would say, “I always wanted to hike the AT, but I wouldn’t know where to start”. My simple answer to anyone contemplating it is simply to start anywhere — to stop thinking about it and to start doing it. But in reality, a lot more needs to go into it. Thus, I’m posting this series of blogs. To do a hike of any duration safely, you really need to consider four things: logistics (where you will be hiking and what it will take to get there and back), gear, food and health. The focus of this blog will be how to plan your hike (the logistics). One question I get asked all the time is, “What’s your favorite section of the AT?” I understand why people want to know, but it’s a little like asking someone their favorite meal. It really depends on my mood. Some days I wish I could be walking through Maine’s Hundred Mile Wilderness surrounded by the pungent smell of spruce, while others I wish I could be high on the mountains of Virginia. The more pertinent questions for this exercise are what time of year are you going to be out and for how long? Where you hike is, of course, up to you. You have 2,100 plus miles to choose from. If you’ve never done an overnight hike, I suggest taking a weekend “shakedown hike” on a trail close to home, so you can get used to your gear and your cooking routine. It’s far better to learn you forgot something when you are within striking distance of your vehicle than when you’re a couple days out and can’t easily do something about it. Something I can’t stress enough is owning and carrying an up to date guidebook and map(s). They are indispensable for trip planning from home and for knowing where you are on a minute-by-minute basis once you’ve hit the trail. With GPS loaded into our phones you may wonder why you should bother with the weight and expense of carrying maps and trail descriptions. The answer is twofold. The first has to do with your device of choice. Coverage can be really spotty on the trail. In some places, you can’t get any reception at all. Then there’s battery life. If you are using your phone to take pictures, you will likely leave it on, rather than powering it up every time you want to take a shot. This drains battery life. Cold weather is another battery zapping culprit. The cumulative effect of these considerations is that you could be out on the trail without a working phone, nor a clear idea of where you are — not good. The second reason to carry a guidebook and set of maps for the section you are hiking has to do with your responsibility as a hiker. My opinion is that if you are going into the wilderness you need to carry the gear and knowledge necessary to get you safely out again. This means that your gear is in good shape, you’re in good shape and you have the means to assess alternate routes out, either for yourself, someone in your party or perhaps, someone you encounter that needs your help. I have been in a situation where I needed to help someone get out of the woods so they could get immediate medical attention. If I had not been carrying area maps, I would not have known about a nearby dirt road that would lead them to safety. For that reason alone, I strongly urge you to bring maps on every trip. 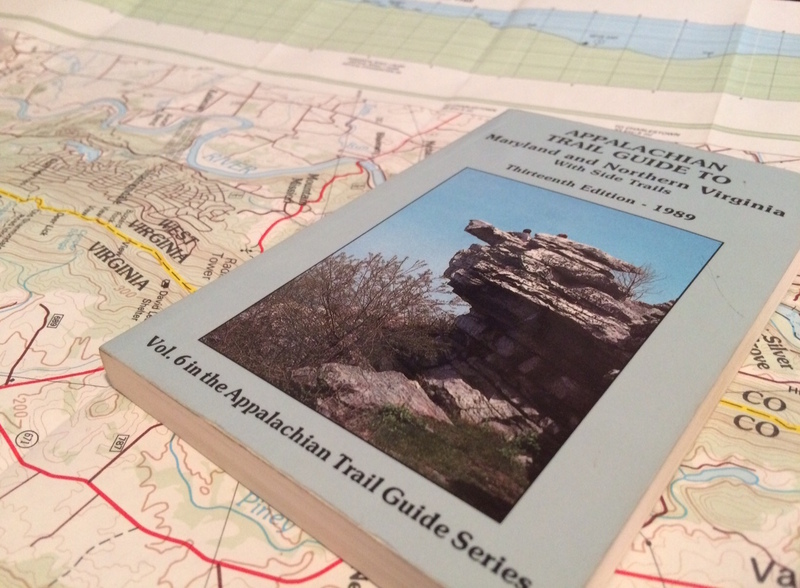 You can purchase guides by state from the Appalachian Trail Conservancy. Linear hike or loop hike? When you plan your hike, you can either hike a section linearly (hiking the section from one end to the other) or hike a loop (integrating a side trail, road or combination of the two to take you back to your starting point). Typically, if you are doing a linear hike you will spot a car at either end or arrange for a ride in advance to get you back to your starting point. The Appalachian Trail Conservancy maintains a list of people that are willing to shuttle hikers to and from trail destinations. It is incredibly useful for trip planning. Note: Always make shuttle arrangements well in advance. You can’t count on walking out of the woods and calling someone to come and get you. Most of the shuttlers have full- or part-time jobs and do shuttle duties on the side. Please help them plan for your needs and get back to them if your plans change. When we were doing hikes on the AT outside of New England, we utilized trail shuttles and public transportation, so we wouldn’t have to park cars at trailheads at all. Typically we combined trains, buses and shuttles to arrive and depart from the trail. It worked really well for us. My experience is that it’s easier to think you can cover more mileage comfortably than you can, especially when you are just starting out. Things to take into account are your general health, the weight of your pack (it will be heavier in spring and fall than in the summer months), the terrain you’ll be covering (are there a lot of climbs and drops?) and the number of days you’ll be out. After a few trips, you’ll know how many miles on average you can expect to cover daily. I’ll cover gear, food and health in detail in the other parts of this series. Please stay tuned.